If there's one thing all Poodle and Doodle owners can agree on, it's that those beautiful curls can be a recipe for a beautiful disaster. While some owners pay regular visits to their local dog groomer, I understand how this can quickly become expensive and time consuming. So the next best thing is ​grooming from home, and for that we'll need the ​right tool for the job. ​​Best bang for your buck. Lower SPM combined with powerful Torque means they cut through dense coat while staying cool (and quiet). ​Very light and comfortable to hold, but runs slightly louder and hotter than the Andis Proclip. The A6 comes in a very close second place. ​​Life saving accessory for roughing in a Doodle coat, and quite inexpensive. We recommend getting the Wahl combs over any other set because they're long lasting (and they'll fit Andis clippers). ​What Type of Clippers Should I Use On My Poodle/Doodle? 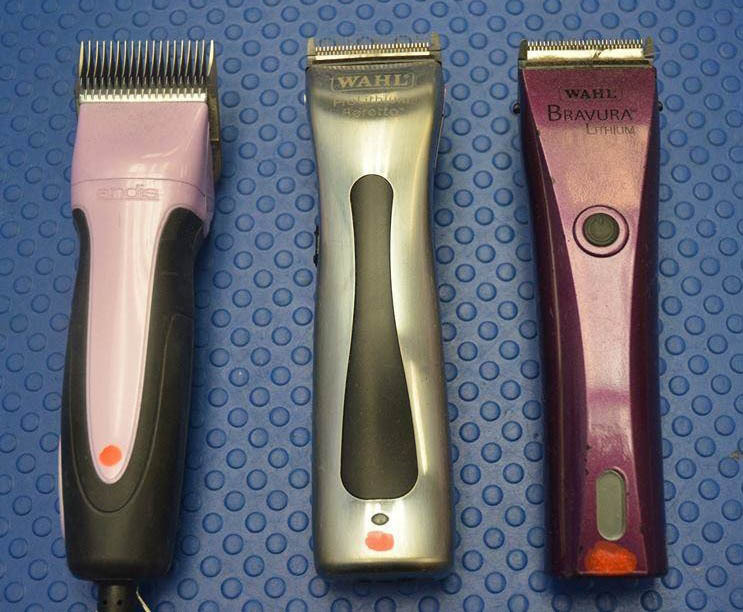 ​There's a massive assortment of pet (and human) clippers out there, all claiming to be the newest and best - but what is the actual difference? When it comes to pet clippers what you're essentially paying for is ​​​Cutting Power and Comfort​. ​Manufacturers will attempt to do this in several ways: by giving you stronger ​​​torque and SPM (strokes per minute) for maximum cutting power and speed. ​While trying to reduce noise and heat to make the grooming experience comfortable for your dog. ​Other features may include: Quick charging time, longer lasting batteries (for cordless sets), comfortable grips, strong build, and all sorts of cool colors and LEDs. The biggest difference between corded and cordless is simply power. Cordless pairs must rely on a battery - which limits how much voltage that motor can use and therefore limits clipping power. Corded pairs are plugged into the wall socket and are only limited by the strength of the motor. Therefore corded sets are usually strong enough to get through any coat. ​However, cordless sets have the advantage of being easier to handle, and are great for touch ups and finishing. ​Manufacturers often refer to the power of their clippers with Strokes Per Minute (SPM). Or, how quickly the blade moves back and forth within 60 seconds. This means the faster the SPM the better it cuts, right? Not necessarily. Imagine trying to chop down a tree, ​you swing at the tree as fast as humanly possible but you have absolutely no strength behind each swing, so it barely makes a dent. ​​Now imagine taking a step back, taking a deep breathe, and ​unleashing a massive, powerful swing! Even though the swings come ​slower they have some serious force behind them. With clippers ​we call this Torque. ​What we need is a combination of speed and torque to really get some cutting power. The last element to consider is how sharp ​your axe is (or your clipper blade). If ​your cutting tool is dull, then it's going to take a lot of extra time and energy to cut that tree down. Which is why a sharp blade can make all the difference. ​A combination of SPM (speed), Torque (strength), and a Sharp Blade make a great set of clippers that can get through anything. 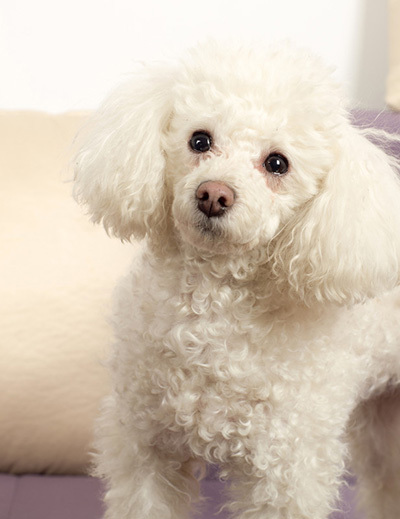 ​Poodles and Doodles have thicker hair ​that are prone to mats, and if left unbrushed it can lead to some very challenging groom​s. In my grooming shop I'll always ​reach for a corded set ​for any ​doodle that comes in. ​​For these breeds we ​recommend you ​use Corded Clippers with Adjustable Speed Settings. ​You'll need ​a decent amount of cutting power​, and corded sets will have ​that extra Torque needed to get through the ​thickest coats. Also you'll want the ability to adjust the SPM to avoid the clippers getting stuck or too hot. ​While there are some cordless sets that are certainly up for the challenge, those high powered cordless clippers often come with a very high price tag and short battery life. ​Here's a pro tip to make grooming and clipping much, much easier. But more importantly, your clippers will have a much easier time getting through that thick coat, making ​your grooming session ​quick and easy. Grease, dirt, and oils create additional friction ​that your blades and motor will have to struggle through, which in turn creates a lot more heat. A quick bath ​will ​extend the life your clippers​, ​and make the groom much more comfortable for you and your dog​. ​If you've used a set of clippers on a matted or thick coated dog I'm sure you've noticed a very common issue: the blades ​will get very hot​ over time. ​Unfortunately, no matter what clippers (or blades) you use they will get hot. But, some get far hotter faster than others, and It all comes down to one thing: Friction. Higher SPM clippers (stokes per minute) will lead to greater friction, which leads to a hot ​blades. ​But we need a decent SPM in order to cut through thick coats. So what do we do? ​We can solve this dilemma in several ways: by getting a decent SPM clipper with adjustable speed, ​that also has ​powerful ​torque, keep​ our blades sharp, and using ​clipper oil to keep things cool. High SPM – High strokes per minute leads to greater friction and heat over time. Dull Blades - Causes greater friction. Blades need to be sharpened or replaced after 100 hours of use. 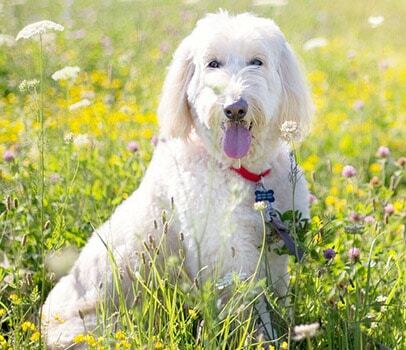 ​Thick or Dirty Coat - Thick, matted coats that are full of oils and dirt will ​create extra friction, you can ​prevent this by bathing and brushing your dog before using clippers. Lack of lubricant or clipper oil​ - Clipper oil should be applied before every use, and every 10 minutes while in use. Check out what we use for ​clipper lubricant in the shop. Bare in mind that even if you have a sharpened and oiled blade with ​a great set of clippers, they'll still get hot after ​extended use. This isn't a manufacturers defect, but just the laws of physics at play. ​If all else fails, you may have to put the clippers down and wait for them to cool until they're a safe temperature. ​How do professional groomers clip all day without burning their dogs? ​Groomers will swap out the blades as they begin to get ​warm. Often they will have duplicates of every blade length, and while one ​is in use the other is cooling off on a ceramic tile. ​I've been a professional dog groomer for 8 years, and I've worked on everything from rescue dogs to professional show dogs. I've also tried many different styles of dog clippers, and have had hundreds of Poodles, Goldendoodles, and Labradoodles come through my shop. Comfort for your Dog - Do they get too hot or excessively noisy? Budget Friendly - Are they too expensive for what they offer? Overall Power - How easy is it to clip through dense or matted ​hair? Good Build - Will it survive being dropped? ​Lower SPM combined with powerful Torque means they cut through dense coat while staying cool. ​Quieter and cooler than most clippers. ​Heavier than ​most other clippers. ​Combs and ​extra's included in the package are low quality. ​This is our​ "go-to" corded clipper when is comes to Poodles. ​In fact, ​this is what me and three of the other groomers in my shop use exclusively on any ​thick coated dogs that come in. ​What makes ​the Andis clippers so special is ​the lower SPM (strokes per minute) of 2700, but strong torque and cutting power, meaning they cut through any coat but stay cool by not creating excessive friction. Also, the adjustable 2-speed function is a very useful ​for cutting through thicker coats. Furthermore, ​the andis proclip is much quieter than most clippers, so if your dog is sensitive to noise this is ​a life saver. ​It's built solid but ​you won't find any fancy grips and LEDs here (although it does come in multiple colors). Also, they're heavier than most other ​clippers, which may be bothersome after some time. The extra comb attachments it came with were​n't amazing, and ​broke easily. ​Typically I don't use these attachments anyways, but I feel like they could have sent out better quality accessories. All-in-all, this is the best bang for your buck. This is a professional grade set so you'll pay a little more than your typical pair, but once you give ​them ​a try you'll never look back. I've been using my pair everyday for 3+ years without any problems. Strong cutting power for dense coats, with 3 speed function. ​Light and comfortable grip for easy handling. ​Runs slightly hotter and noisier than the AGC. What's really nice is the 3-speed option, allowing you to ​alter the SPM (strokes per minute) for cutting through thick coats without getting stuck or creating too much heat. The SPM can be altered from Low (3,100), Medium (3,600), and High (4,400). 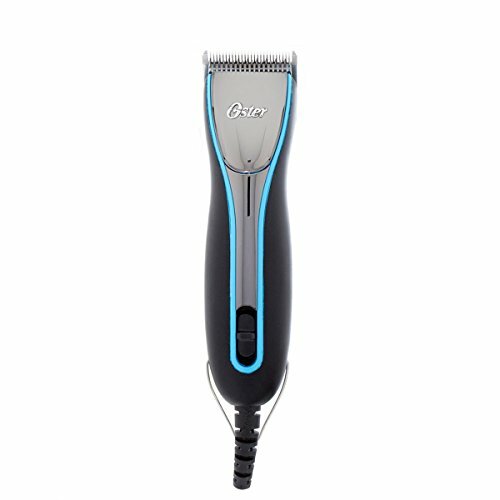 Also, ​the Oster A6 is much, much lighter and easier to handle, and when you're grooming all day that makes a huge difference. 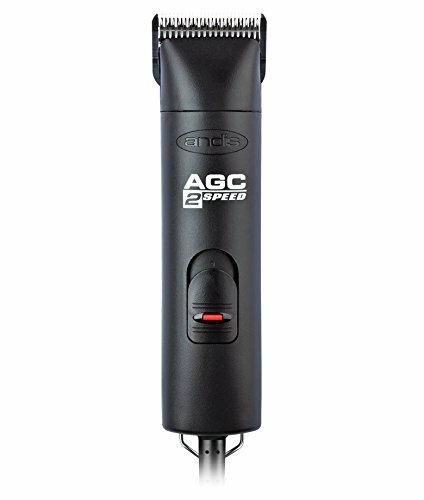 ​This is our second choice only due to the clippers running slightly hotter and making more noise than our first pick - the AGC ProClip 2-speed. ​While the A6's ​​are more comfortable ​to handle and ​​carry less weight - the extra heat and sound are deal breakers​, and that's why this comes in a very close ​2nd place. The ​issue is with how Andis creates their comb sets. Each comb comes with a release spring ​towards the bottom, and while clipping the spring will accidentally release and the comb comes loose - leading to big mistakes. 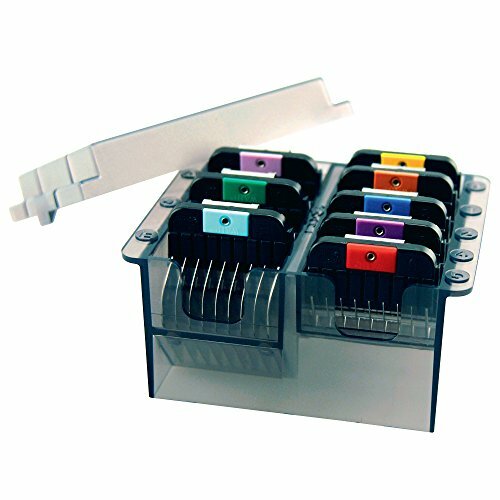 Wahl combs are also spring loaded, but in such a way that they won't release by ​accident. Another mistake I often see​ ​is people reaching for the cheap plastic comb sets because they're inexpensive. But what they'll soon find out (especially on a thick doodle coat) is they crack and break very easily. ​Works as a Lubricant, Sanitizer, and Cleaner in one. ​Helps keep clippers cool and comfortable. ​Extends life of the clippers and blades. ​Here is another pro tip - using a lubricant will not only extend the life of your clippers and blades, but also keep them cooler for comfortable grooms. This is a life saver for grooming dogs with thick coats, as you'll push your blades to the limit ​trying to cut through mats. Giving your clippers an extra little boost will certainly make things easier for you, and one can of this stuff ​lasts a very long time.